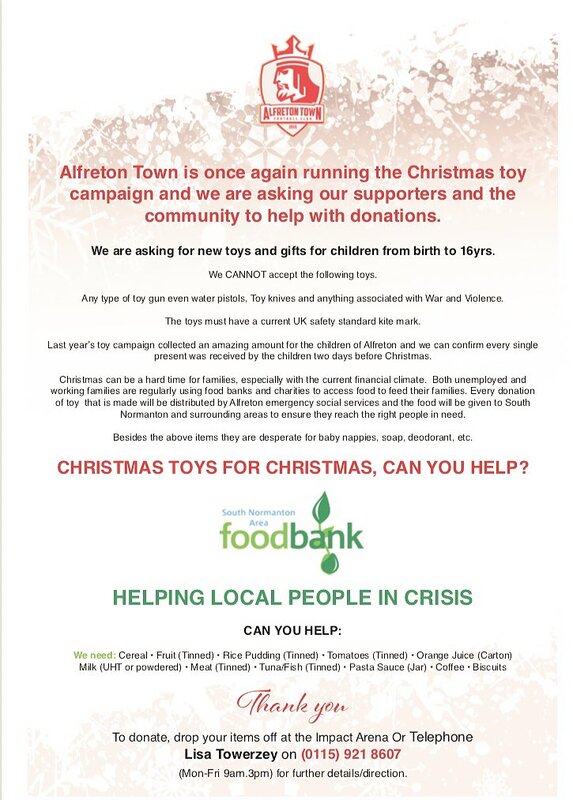 The club are once again running our Christmas Toy campaign, which was hugely successful last year as well as accepting food donations for South Normanton Food Bank! ATFC was delighted and massively grateful for all who donated last year and made our campaign successful, we are delighted to begin the campaign once again as we build up to Christmas. Full details on what we require and if you can help, see the poster above!